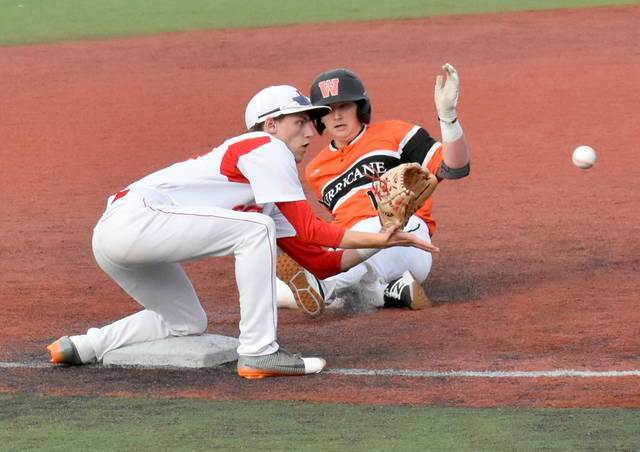 CHILLICOTHE — Unable to hold a 6-0 lead, the Wilmington High School baseball team was defeated by Hillsboro 7-6 in eight innings Saturday in the final game of the Little Hearts Big Smiles Classic at Paints Stadium. 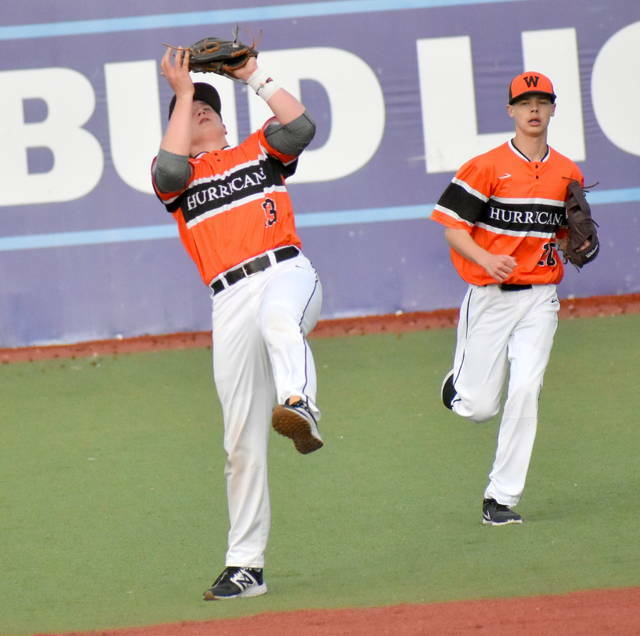 In the battle of former South Central Ohio League rivals, it was all Hurricane early. Jake Vaughan drove in Alex Meyer then Jordan Tackett plated two runs (Meyers and Matt Spears) in the third for a 3-0 WHS lead. Vaughan then singled and Ben McAllister doubled home Tackett. Grant Pickard walked and Jordan Macik was hit by a pitch to send Vaughan home with a 5-0 lead. It was 6-0 when Ethan Henson scored McAllister on a ground out. Pickard was cruising along on the mound through the first two innings but three errors in the third allowed the Indians to get back in it, 6-5. “Grant … deserved better,” WHS coach Brian Roberts said. 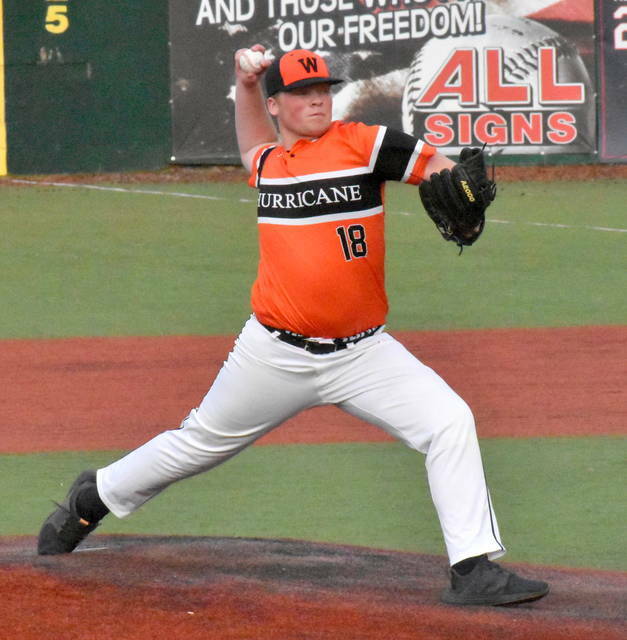 Tackett followed with four solid innings and allowed just one run. 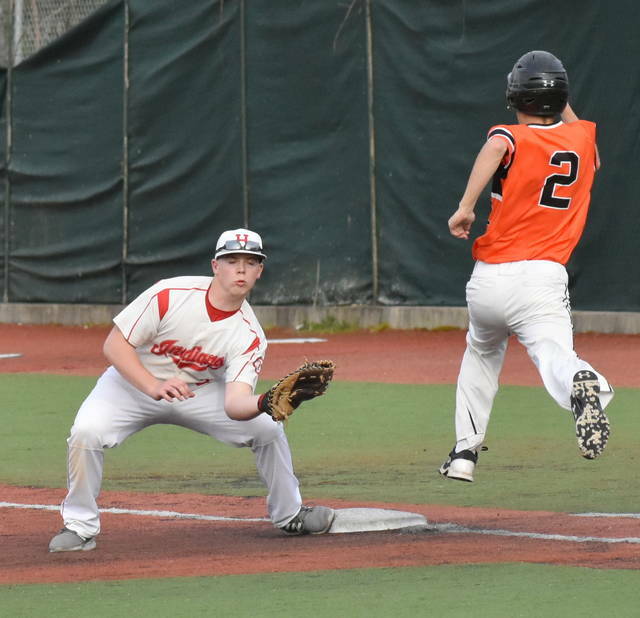 In the Hillsboro eighth, Grant Crum drove home the winning run. Vaughan finished with four hits while Meyer and Spears had two each. McAllister had two hits and two RBI. Tackett had a hit and drove in two runs. 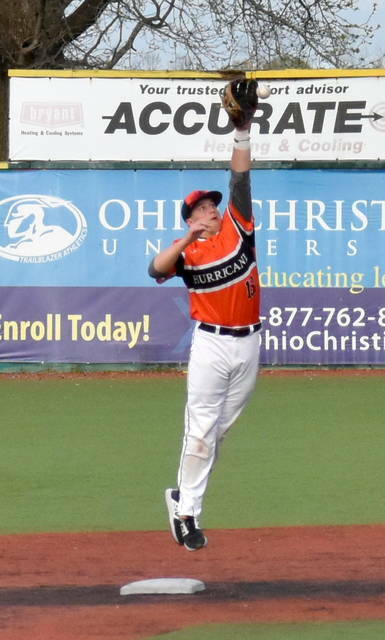 Joey Bush also had a hit for the Hurricane.